Join us for this breath-taking holiday to Prague and Vienna. These two cities are rich in culture and history. Prague is one of the most beautiful cities in Europe in terms of its setting on both banks of the Vltava River, its townscape of burgher houses, punctuated towered palaces, cobbled streets and not forgetting the famous Czech beer. Vienna with its baroque streetscapes and imperial palaces set the stage for Vienna's artistic and musical masterpieces alongside its coffee-house culture and vibrant epicurean and design scenes, this feel-great city will have you smiling from ear to ear. 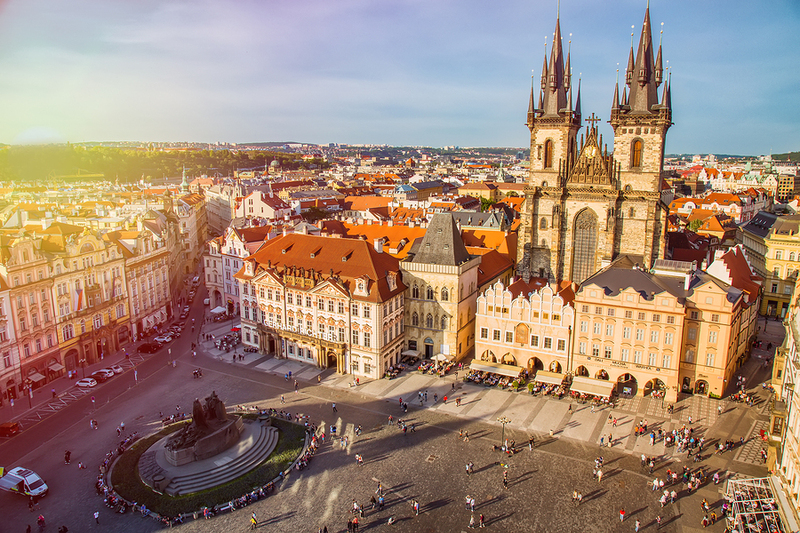 Ibis Praha Old Town is situated in the heart of Prague, 100 yards from the old town. Na Porici, the main shopping street, is just a few steps away. All rooms of the Ibis Praha provide air conditioning, a shower, toilet and flat-screen TV sets. The whole hotel property is accessible to wheel chairs. The Ibis Wien Messe is conveniently located near the Centre. From the nearby tram stop (350 yards), lines 1 and 2 take you to the old town within 5 minutes. You will enjoy the nicely furnished rooms all with private facilities. After and early morning start from the deport we start our adventure towards Dover for our channel crossing to Calais. We continue to our overnight hotel in northern Europe. After a mystery visit to break up the journey, we make our way to our second overnight near Germany. After our morning breakfast we start our way to the Czech border. This morning we will call at Pilsner Brewery; the largest beer manufacture in the Czech Republic. Pilsner Urquell tour is one of the world’s best rated tourist attractions! 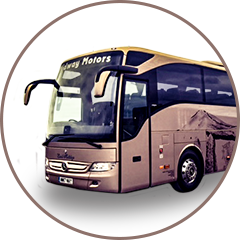 It’s no wonder, because the tour is full of interesting facts which will impress even very demanding visitors. Take a look at the new bottling facility, which can handle 120,000 bottles per hour, and not forgetting the tasting at the end. After the tour we will continue to the city of a hundred spires; Prague. Two full free Days - “It’s time to enjoy the city” - After a nice relaxing breakfast take the short walk to have morning coffee at the old town square by the Astronomical clock or visit the many attractions that Prague has to offer from Prague Castle, Charles Bridge St Vitus Cathedral just to name a few. We can also organise a two day Hop on Hop off sightseeing service which calls at a large number of these attractions and can also include a boat trip on the Vltava river (There is an extra charge for this service). It’s time to depart Prague and make our way to Vienna travelling via more of a country side route. We will stop for lunch at Český Krumlov, in Bohemia’s deep south; one of the most picturesque towns in Europe. It’s a little like Prague in miniature. It is also a Unesco World Heritage Site with a stunning castle above the Vltava River. After our lunch we continue our journey to Vienna. Hello Vienna! 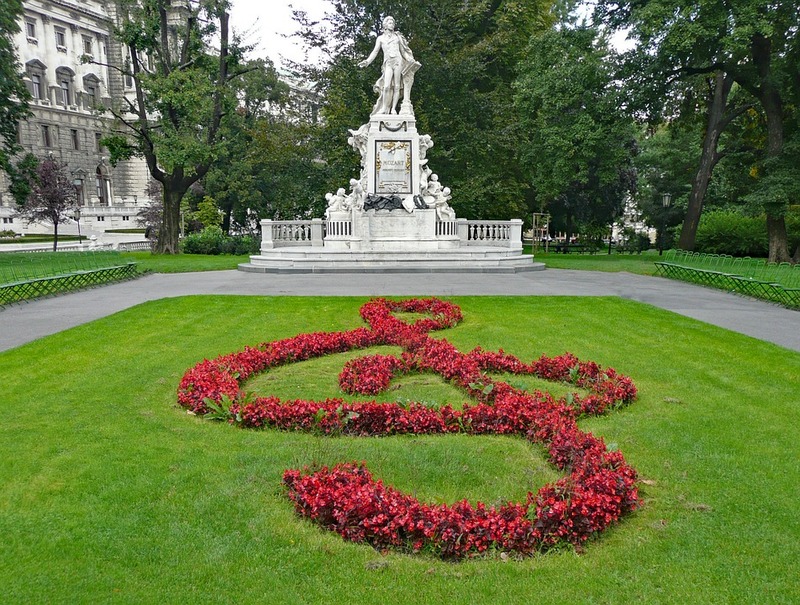 It’s time to explore this fascinating city, take a stroll on the Ringstrasse. 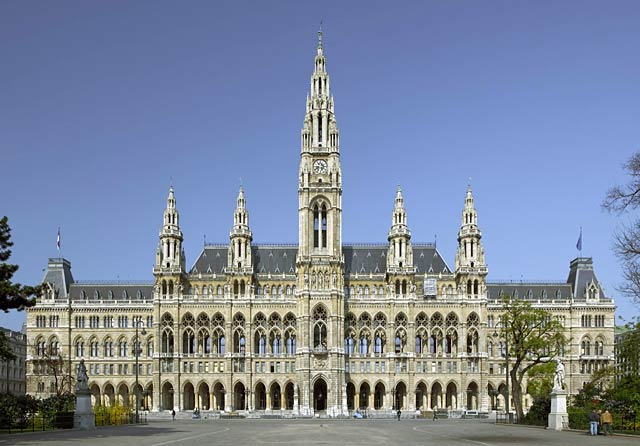 This is one of the most beautiful boulevards in the world and is home to many of Vienna's best-known sights, such as the Imperial Palace, the Kunsthistorisches Museum and the Natural History Museum, the Vienna State Opera and Parliament as well as some magnificent palaces. Or if you are more adventurous why not visit Danube Tower at 252 meters high the two fast lifts will take you to the top in 35 seconds: the observation terrace of the Danube Tower at a height of 155 meters offers the best view over Vienna. Our evening meals in Vienna will be served in a local restaurant, just a short walk from the hotel. It’s time to depart the musical sounds of Vienna and start our way home. Evening meal will be served at our first overnight on our return journey. After breakfast we make our way to our second overnight hotel in northern France, there will be plenty of stops to keep us nice and relaxed. We catch the morning ferry from Calais to Dover and hope to return to Pembrokeshire in the evening.